This entry was posted in Gratitude and tagged fresh crepe, happy mother's day, heart's desire, i love mom, love by melissa.scholes.young. Bookmark the permalink. I really couldn’t ask for anything more. Sweetest, funniest Piper ever. 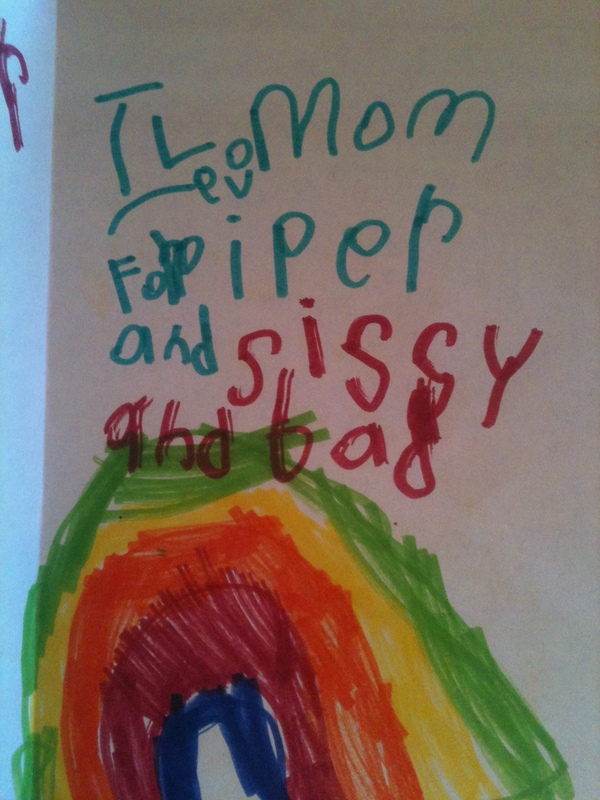 Piper has an amazing role model in Sissy. I’m a lucky mama indeed. Happy mother’s day! Ours has been pretty special. Both kids are napping – at the SAME time – so I have a rare bout of time for blog commenting. Miss you! Miss you, too! Happy Cupcake Day to you (as you know this covers every occasion)!